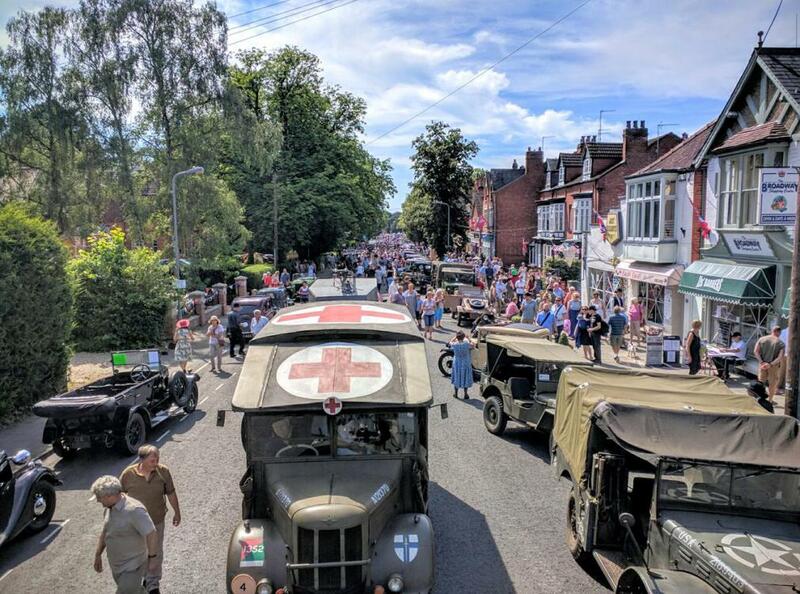 Wartime Woodhall Spa would have been a sea of blue and khaki uniforms with the population of the village increasing tremendously during the War – the influx far exceeding those who had gone away to war. Estimates put the number of servicemen in and around Woodhall Spa at between 4,500 – 5,000. This must have been a considerable shock to long-term residents, even though Woodhall Spa enjoyed a widely travelled and cultured population, many of whom had served abroad in the colonial and military service. Furthermore, the Baths and hotels attracted writers, artists and intellectuals from across the country. 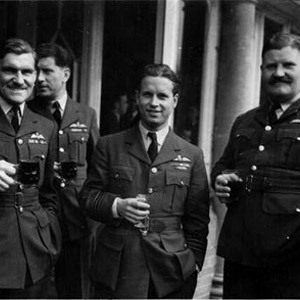 A number of seminal events were initiated from Woodhall Spa: from here 617 Squadron undertook the majority of its wartime operations using Barnes Wallis’s revolutionary Tallboy and Grand Slam earthquake bombs. And, 627 Squadron took part in the Berlin raids on Stuttgart, Brunswick and the attack on the Gestapo HQ in Oslo. Additionally, the 1st Airlanding Brigade which fought at Arnhem was based here in Woodhall Spa. The Brigade, which comprised three infantry battalions along with supporting units, requisitioned hotels, billeted soldiers in boarding houses and officers with local families and occupied hutted camps at Roughton Moor. 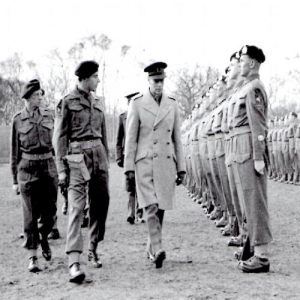 King George VI visited Woodhall on 16th March ‘44. The image (courtesy of the IWM) shows the King visiting the Brigade on their training area next to the unit lines. The exact location is Roughton Moor alongside Kirkby Lane on the eastern edge of Woodhall Spa. His visit was to the 1st Airlanding Brigade based here in Woodhall Spa. The Brigade had fought in Sicily and North Africa in ’43 and moved to Woodhall Spa in December ‘43. As from Spring ’44 deployment into action was expected any day. Eventually this came with operation Market Garden in Arnhem. This heritage trail consists of 8 information stands across the village of Woodhall Spa. These interpretation panels explain Woodhall’s role in World War II. From the crucial operations of both 617 and 627 Squadrons, to the 1st Airlanding Brigade visited here by the King and Montgomery before seeing action at Arnhem. There is a free leaflet available from the Cottage Museum giving more information about the Wartime Woodhall trail.